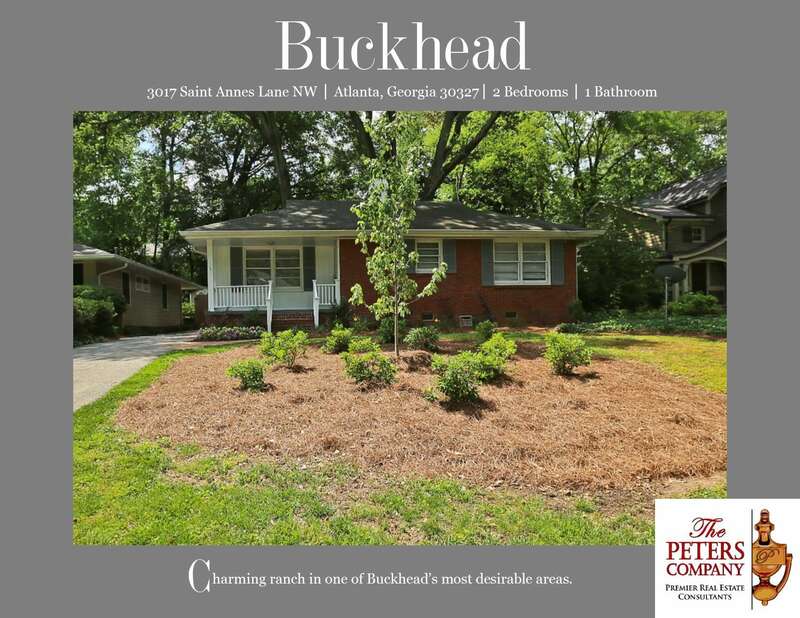 Just Listed :: Charming Brick Ranch in Buckhead! Welcome Home! Nestled in a quaint, quiet bend, yet right in the middle of everything Buckhead, this adorable 4-sides brick home is just what you’ve been looking for. The floor plan, custom features, and charming character of this property will never go out of style. The close proximity to I-75, I-85, and GA400 make it convenient to and from any direction. You’ll also enjoy being close to all of your favorite Buckhead restaurants and shopping spots! Thoughtful touches, a flowing floor plan, and charming features throughout. Kitchen features stainless steel appliances, granite countertops, and large island with breakfast bar. A separate dining area with built-in shelving is perfect for entertaining guests or casual meals at home. Natural light fills the large living room that has a cozy wood burning fireplace and built-in storage. Gleaming hardwood floors and crown molding are carried throughout the main level. Master suite features a spacious walk-in closet. Additional bedroom is well sized and bright. Freshly stained deck leads out to the large backyard and is the perfect spot for outdoor enjoyment and entertaining. A detached one car garage is ideal for your vehicle or as extra storage! Call The Peters Company today to see this adorable home at 3017 Saint Annes Lane NW… 404-419-3619!